Walk around the second annual Posh Squash at Nativity School and be dazzled by a world of glass. You’ll find not only the stars of the show — glass pumpkins — but other produce, apples, corn, eggplant and pears. The event runs today through 5:00 pm and tomorrow from 10:00 am to 4:00 pm. 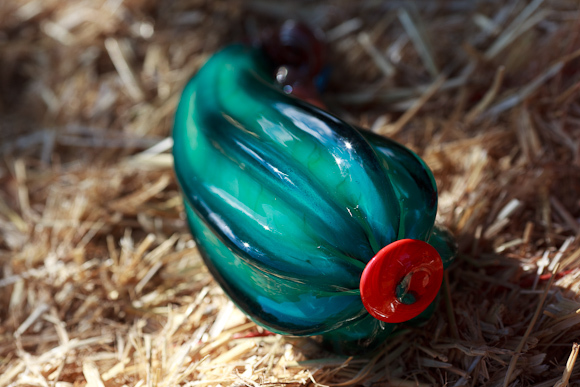 This year’s participating artists include Gigi Erickson, Doug Brown, Mike Shaw, Lionel Chapital, Glass Diva, Shelly & Ken Monfort, Jonathan Yao, and CHAOS Glassworks.